Dragon’s Den judge Sean Gallagher has confirmed he will seek an independent nomination to run in the upcoming presidential election. 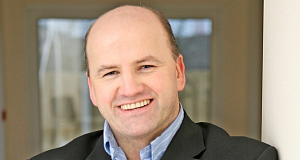 The 48-year-old entrepreneur is to join Senator David Norris in seeking an independent nomination, a route that requires the support of 20 TDs and senators or four county councils. According to this morning’s papers, Gallagher is being backed by independent senator and business man Sean Quinn. Gallagher said he was encouraged to run by calls from business, community and disability groups. Along with Senator Norris, Fine Gael‘s Mairead McGuinness is the only other confirmed candidate in the election to replace Mary McAleese. Maybe this is an April fool’s joke but wait, no this is the country that has taken on hundreds of billions of euro of private debts from the Toxic banks; this is the country that has voted back into the Dail gombeens, traitor’s gangsters, self- publicists and all other such undesirables from Irish society. This is the country that has made millionaires out of lawyers and barristers at the countries tribunals and now wants to compensate them because there is no more work for them .Is it any wonder that this chancier from Dustbins Den wants to chance his arm, of course it hast to be a good business proposition so I’m sure he will want at least 50% of the countries assets or shareholding. All we need now is the other Dustbin’s Den crew to come forward and make their counter bids ,Why not sell the office of presidency to the highest bidder ?Maybe Sean Fitzpatrick or Sean Quinn? Why not Dig up Charles Haughey at least he won’t cost that mush as he won’t be eating! Personally I would vote for Dustin the turkey he is the best qualified! Fact, behavioural science tells us that bankers and politicians are lying to us 93% of the time. It’s 13 times more likely Wall Street is telling you a lie than the truth. That’s why they win. Why we lose, because our brains are pre-programmed to cooperate in their con game. Yes, we believe most of their lies. One of America’s leading behavioural finance gurus, University of Chicago Prof. Richard Thaler, explains: “Think of the human brain as a personal computer with a very slow processor and a memory system that is small and unreliable.” Thaler even admits: “The PC I carry between my ears has more disk failures than I care to think about.” Easy to manipulate. Humans have something “akin to brain damage,” says Ritholtz. “To neurophysiologists, who research cognitive functions, the emotionally driven appear to suffer from cognitive deficits that mimic certain types of brain injuries. … Anyone with an intense emotional interest in a subject loses the ability to observe it objectively: You selectively perceive events. You ignore data and facts that disagree with your main philosophy. Even your memory works to fool you, as you selectively retain what you believe in, and subtly mask any memories that might conflict with it ”. I can confirm all of this to be true based on 15 years of trading in theStock markets . Meanwhile over on Live line I hear from Joe Duffy, that 200 people have invaded the offices of Quinn Insurances in support of their “Fuehrer” Mr. Sean Quinn, and they will not leave until Sean himself tells them to do so. These people suffer from one of the defaults inbuilt in our brains by “selectively perceiving past events to suite their version of current events” The fact is that Mr. Quinn along with 9 other members of the Anglo Irish Golden circle were dealing with insider information supplied by Mr. Sean Fitzpatrick the Chairman of the Board of Anglo Irish Bank. Mr. Quinn brought all of this misery down on them by gambling and by his greed .They are been manipulated and as usually they don’t know it ! Started out having to go to the Doctor with my son he had a nasty tummy bug last night and he was complaining about having a chest infection so after a night of it I brought him to the doctor only to be told he had to go to the hospital for a chest X ray. Time 11.30 drove all the way to Tallaght Children’s hospital after arrival I could only park in the multi car park building and at 2.5 euro an hour I was not happy. Got a space handy enough and then on into the hospital. On my way down to the children’s admittance ward I passed about 20 trolley beds in the hallway with adult patients in them. I tried to avoid the eyes of these people but somehow I did not manage it to well as I did indeed catch some of the patients eyes and I felt ashamed ,I felt as if I was walking through their living room and I may have managed to say sorry to some of them. There was no sense of dignity, and their ailments were on public display and their frailty was been viewed by me and everybody else who happened to walk along this particular corridor. I came to the waiting room and there was at least Sixty to seventy people and little did I know but I was spend the next five and a half hours sitting there waiting for my son to have a chest X-ray .During this period I would say that approximately another fifty people would have come and gone from this A&E station. Incensed by the fact that these people were been robbed of their dignity when they most needed it. The Government Minsters that supported the massive cuts to the health service were responsible are now out of the decision making process in the Government but I thought they would never have to face this indignity themselves. People like Lenihan, Cowen, Harney, and Gormely, and so on because we the people have allowed them to just walk away with lottery pensions and leave the devastation behind for the ordinary people to suffer. I was then reminded about the story about Sean Fitzpatrick storming off a golf course because some journalist asked him to apologize to the people of Ireland for the devastation he caused! We as a nation are still waiting for people to be brought to justice and I hope that the new government will take up the challenge to break with a sad tradition and demonstrate to the people of Ireland why it is necessary for us to believe them and their promise of change .Those responsible must be brought before the courts. I did what I thought was the right thing to do and stood up against corruption, cronyism, and the plunder of scarce financial resources by the very people that were telling the rest of us that there was no money in the kitty for the hospital services, yet they rode off into the sunset laden down with their perks and lottery pensions .Only today as I sat there in the waiting room of the A&E and saw children having to wait for essential services did I feel proud to say ,at least I did something !